Paul Dean is a UFO document researcher from Melbourne, Australia, who uses an evidence-based approach and focuses on "air safety policy, military communications, radar tracking and space object identification to understand the wider UFO matter at a government/military level." There's a wealth of credible information available, but sadly, many people are satisfied with the shallow, sensational, and inaccurate UFO infotainment from television shows and random websites. Below is a guest article from Paul, prompted by my request for the best and most credible literature for newcomers to the UFO topic. Many of his book selections are available to read free online, and when found, links are included. My personal advice however, is whenever possible, get real books, and go to a bookstore to find them. I have put a list of books together that are what one would call ''required reading." 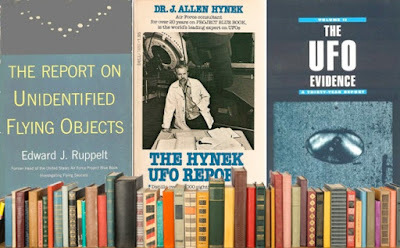 It amazes me how few people have actually read the great, scholarly, foundational works of Ufology. No one will agree in full on a ''best'' books list... But a ''required'' or ''essential'' reading list is a different matter. UFO enthusiasts beware: Don't think that Klass and Menzel, and Condon, don't make the cut. Also, some books make the list not because of voluminous or heavily technical density, but because they are filled with an extraordinary look at the politics of the times. Keyhoe's work is the best example of this. Whatever ones leanings, there is no way that ''researchers'' can bestow such a title on themselves without having absorbed at least some of these great tomes. There is simply no alternative. Most of these books must be on shelves. Also, this is not in any order as such. Don't see this is a top-to-bottom list. It ain't. “UFOs and Government: A Historical Inquiry” (2012) by Michael Swords, Robert Powell, Barry Greenwood, Jan Aldrich, Clas Svahn, Vicente-Juan Ballester Olmos, Bill Chalker, Steve Purcell and Richard Thieme. 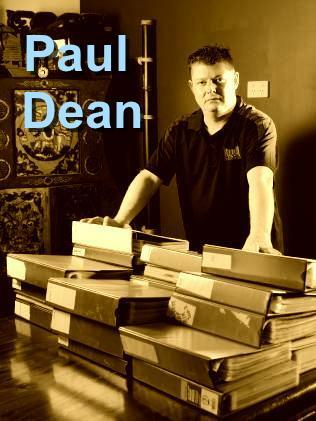 Paul Dean has recently been focused on unearthing military UFO documents, with a special emphasis on NORAD. UFOs - Documenting The Evidence.